ProRap Prefold Diaper Covers are made from a soft polyester knit with a leak-proof urethane barrier. Gussets are around the leg openings and designed to prevent leaks. This cover is fastened in place using Velcro tabs that extend across the tummy to give a great fit. Our ProRap Prefold Diaper Covers are available for rent only when using our diaper service. Your initial start-up rental fee is $5.00/cover for 4 weeks. After your initial 4 weeks of service, your on-going 4 week rental fee will be $1.25/cover. With our rental program, when your baby is ready for larger sized diaper covers, you simply trade in your diaper covers for the next size up! Cloth diapering with Prefold Diaper Covers is easy to do! Click here to learn how! While renting our prefold cloth diaper covers, you will provide basic care for your diaper covers at home until you are ready to exchange them for the next size up. Our rental diaper covers have wipe-able interiors, so light cleaning can be easily done with a baby wipe between diaper changes. 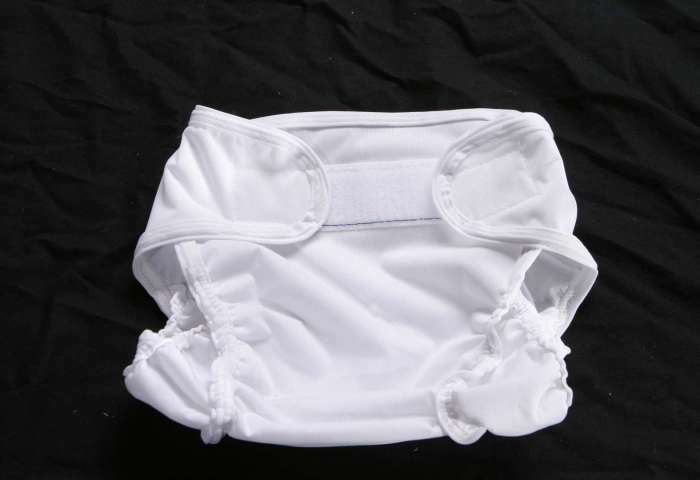 Diaper covers may be used multiple times before machine-washing, but should be placed into the laundry if they become soiled. Poop is definitely going to happen! On occasion, you may end up with poop on the fabric of your cloth diaper cover. We recommend that you wash your diaper covers soon after staining appears on the fabric. With poop stains, you may be tempted to get out the “big laundry guns” like Shout or Oxyclean and attack the staining. Unfortunately, these products are too harsh for cloth diaper covers and could break down the vinyl.